By joining SANA as an individual member you are helping to protect the future of game angling in Scotland by ensuring the continued growth, development and sustainability of the sport. 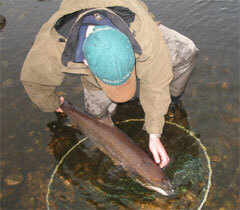 Individual members receive a free insurance to cover their angling activities across the UK. Details are here. You are also eligible to compete and participate in SANA competitions and events and to be considered for international selection through the SNFFL (other qualification criteria apply). You also get to meet other members and share in the benefits of being part of a wider game angling community with a clear Scottish focus, having the opportunity of getting advice from members and keeping up with developments in game angling in Scotland. Annual membership runs from 1st April through to 31st March of the following year.